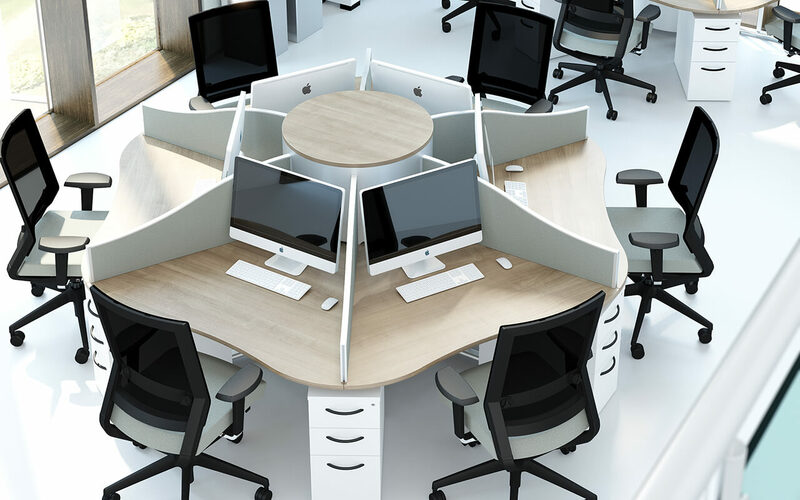 Elite Office Furniture was founded in 1986, and in 27 years it has grown into one of the UK’s most successful manufacturing brands that provides its services to 250 companies both in the UK and overseas. Thanks to the careful selection of industry experts, this multi-million pound company leads the way in supreme construction of simple and advanced storage solutions, seating and top quality office furniture. Each of their collections, ranging from storage solutions to office desks, has been designed with care and attentiveness. Elite is home to a unique team of CAD designers, whose job it is to oversee all aspects of design. They start off with a 2D layout and will progressively work towards realistic 3D renders. Each project is specifically commissioned by a client, which allows the team to use the distinctive measurements and features of the office to design the perfect layout. A professional office is one that looks neat and tidy, and the best way to achieve this is with an office storage unit from Elite. One of Elite’s bestselling ranges is the personal storage unit that can be easily fitted into any desk design. This allows documents and other important items to be kept nearby, but out of sight for a clean and tidy desktop. Dividing screens are an incredibly popular accessory in offices, and Elite were quick to provide the very best. Elite offer a variety of acrylic dividing screens in different colours including red, green, blue and orange. Two types of divides are available: desk mounted or floor standing. If you’re looking for an innovative and modern solution to problems with your office desks, then Elite can provide the perfect answer. One of their most popular ranges is the Linnea Collection, which combines modern simplicity with a splash of colour. The stylish desks can come in a number of different finishes with matching modesty panel. Add one of Elite’s swivel task office chairs in a suitable colour to really finish the look. 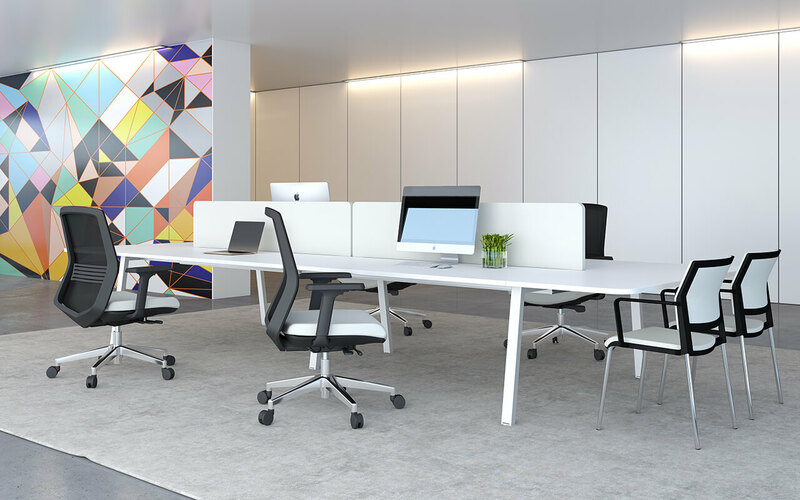 For those who want to create a modern and sleek office, the Linnea bench range maximises your space without compromising on style. Each desk is designed to support a monitor arm that can be adjusted to the eye level of the user, as ergonomic office furniture and user comfort is at the heart of this range. Elite places a great amount of emphasis on building strong relationships with its customers. From the moment you place your enquiry call with Rapid, a sales representative from Elite will be with us every step of the way. Once your design and installation has been completed, Rapid will continue to have a presence in your business as we pride ourselves on excellent aftercare services to all of our customers. If there are any problems or further questions about your current design or any future needs, we are just a phone call away and are more than happy to help you. Here at Rapid Office, we have an excellent relationship with Elite Office Furniture. Contact us now for professional service, expert knowledge of the office furniture industry, and the latest products from this manufacturer.